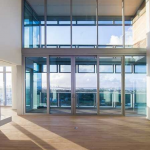 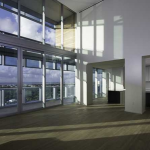 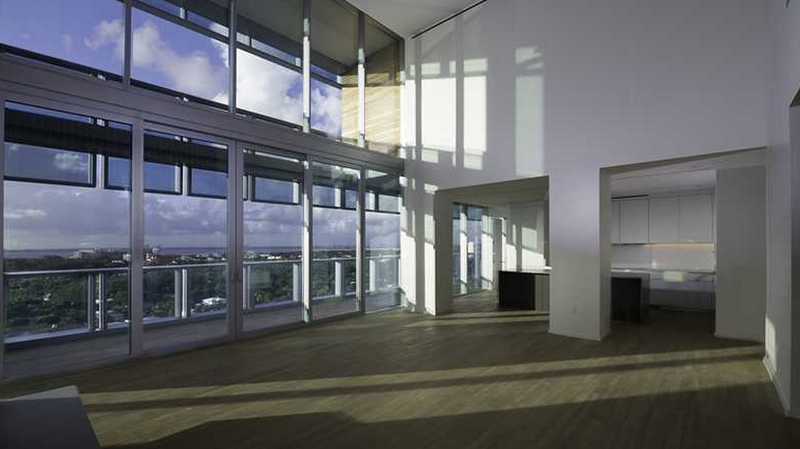 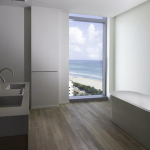 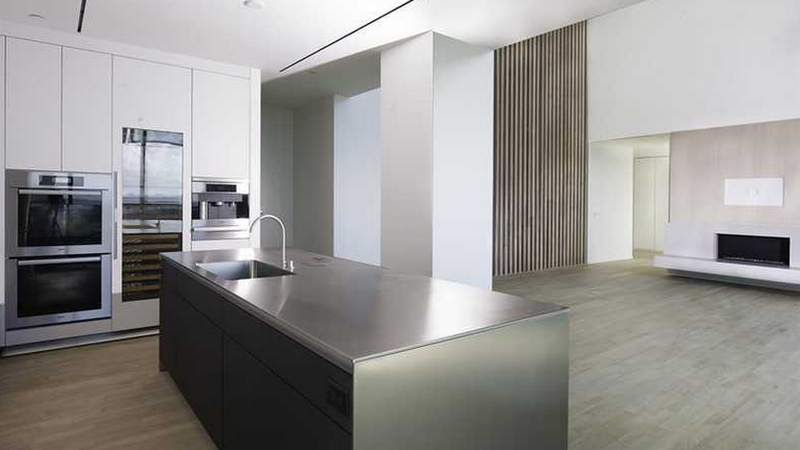 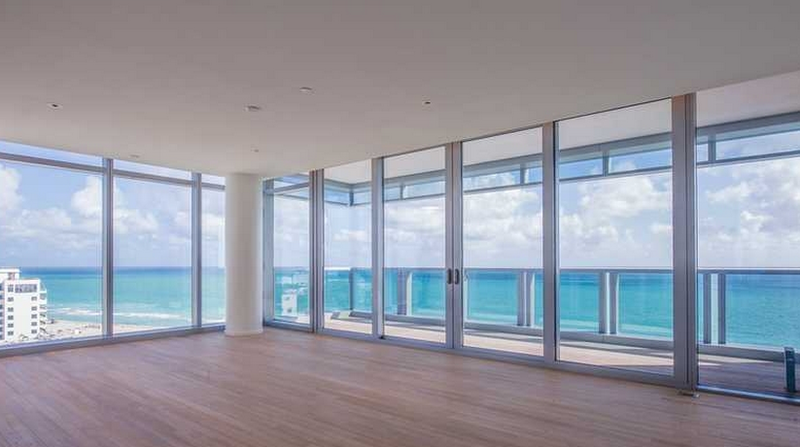 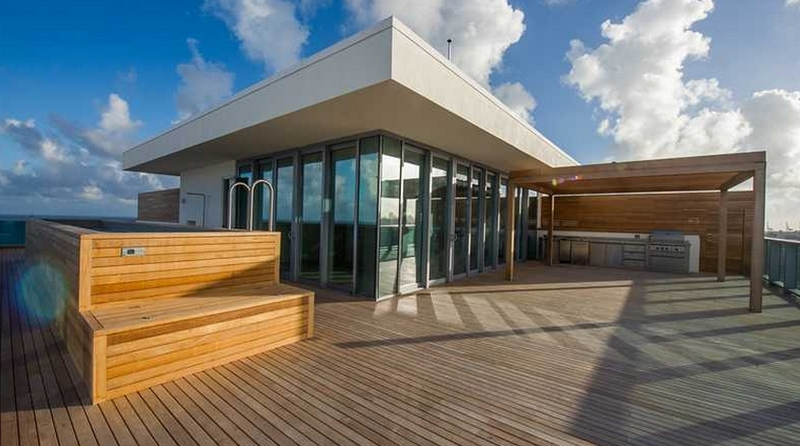 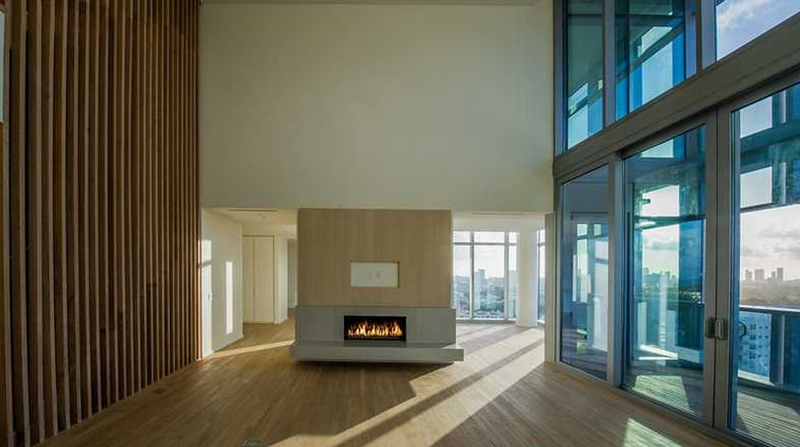 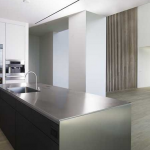 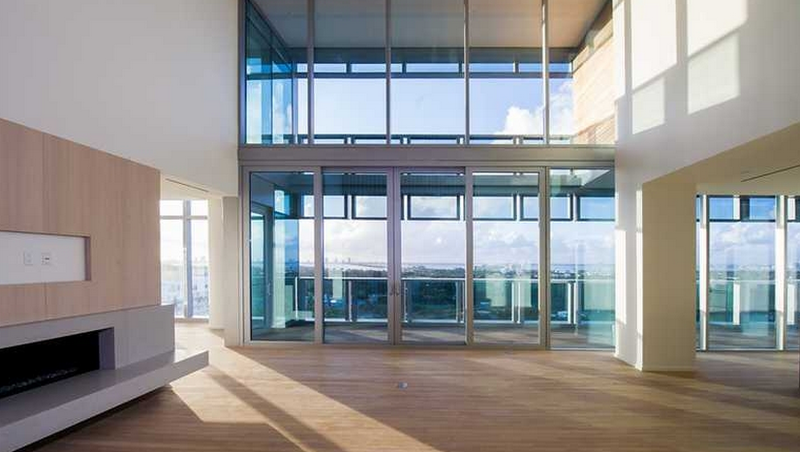 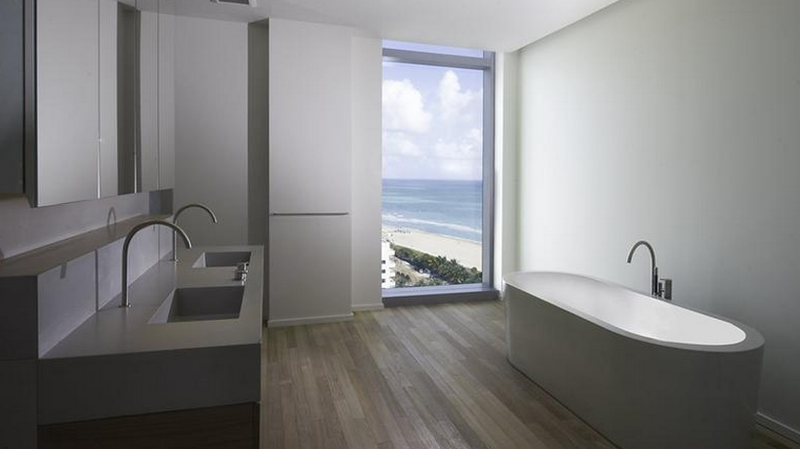 This newly listed triplex penthouse is situated atop 2901 Collins Avenue in Miami Beach, FL. 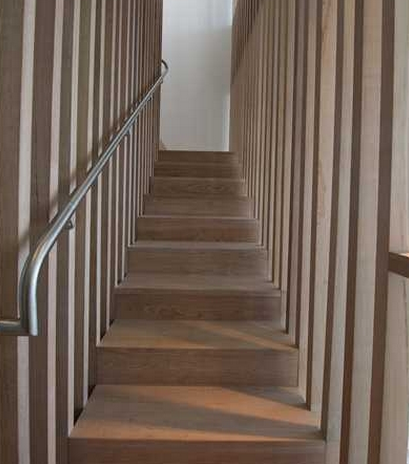 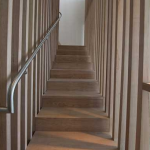 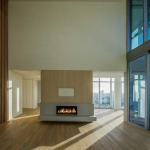 It was developed by Ian Schrager and features approximately 5,246 square feet of living space with 5 bedrooms, 4 full and 1 half bathrooms, a $1 million teak wood staircase, 2-story living room, dining room, gourmet kitchen and floor-to-ceiling glass walls. 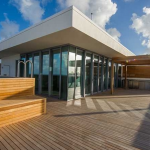 There is also approximately 3,000 square feet of exterior, rooftop living space with a 36 foot long swimming pool and a kitchen. 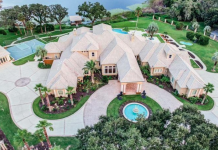 It is listed at $27,500,000.